Mr Dileep was yesterday re-elected president of Film Exhibitors United Organisation of Kerala (FEUOK), an association of theatre owners, producers and distributors, a day after he was granted bail by the Kerala High Court. Kochi: Malayalam film actor Dileep, an accused in the actress abduction and sexual assault case, today declined to accept the post of president of a body of theatre owners, producers and distributors in Kerala. The actor was removed from the post after he was arrested in July last in connection with the case of abduction and sexual assault of a South Indian film actress. In a letter to the general secretary of FEUOK, Mr Dileep expressed his gratitude to them for re-electing as its president. "But I don't wish to take over as the president of FEUOK under the present circumstances," he said without elaborating. Extending all support to the organisation, Mr Dileep said he would continue as a member of the organisation, which was formed owing to the initiative taken by him. He also wished all success to the organisation. 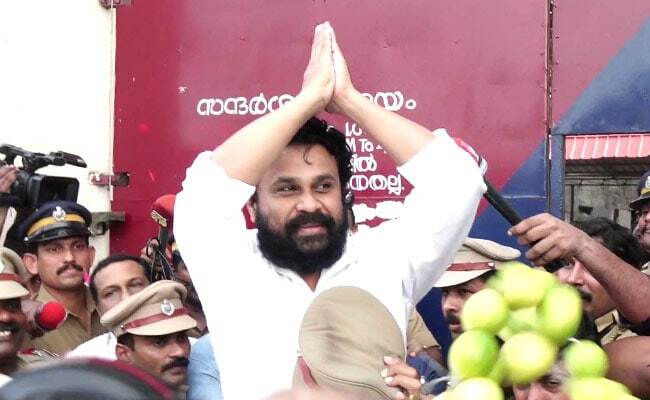 The Kerala High Court had on Tuesday granted bail to Mr Dileep, who spent 85 days behind bars in connection with the abduction and sexual assault of the actress. The actress, who has worked in Tamil and Telugu films, was abducted and allegedly molested inside her car for two hours by the accused, who had forced their way into the vehicle on February 17 night and later escaped in a busy area.